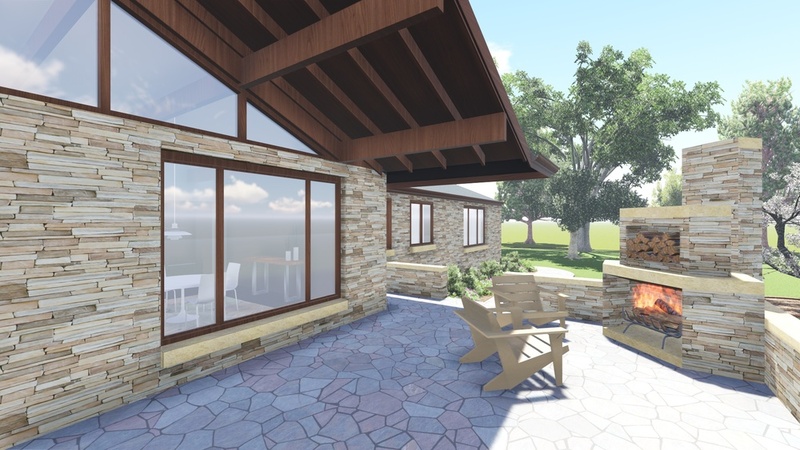 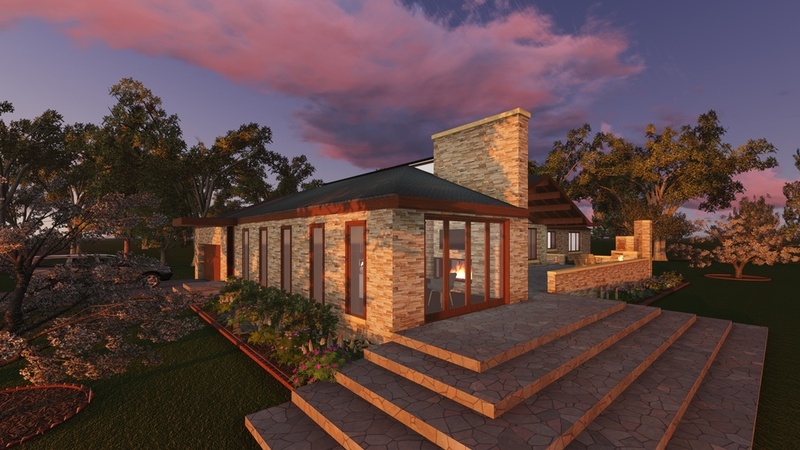 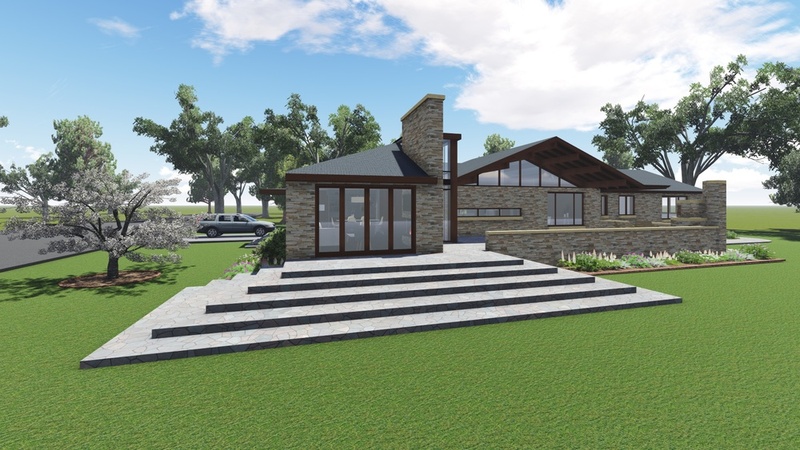 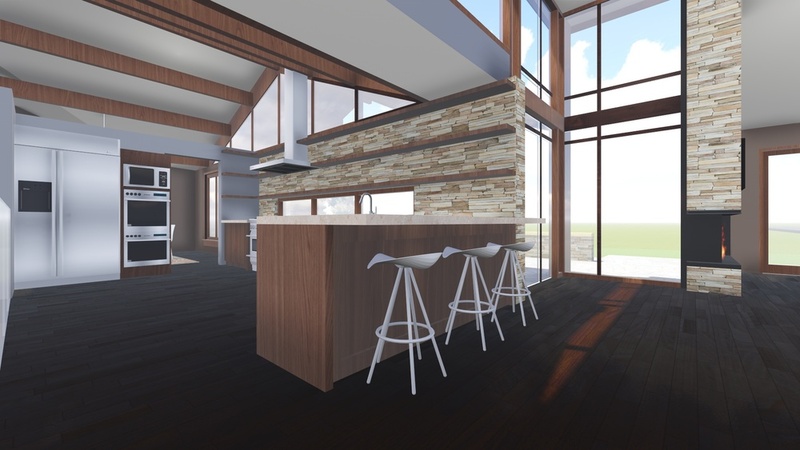 qkArchitecture developed the conceptual design for an addition to an existing ranch-style home. 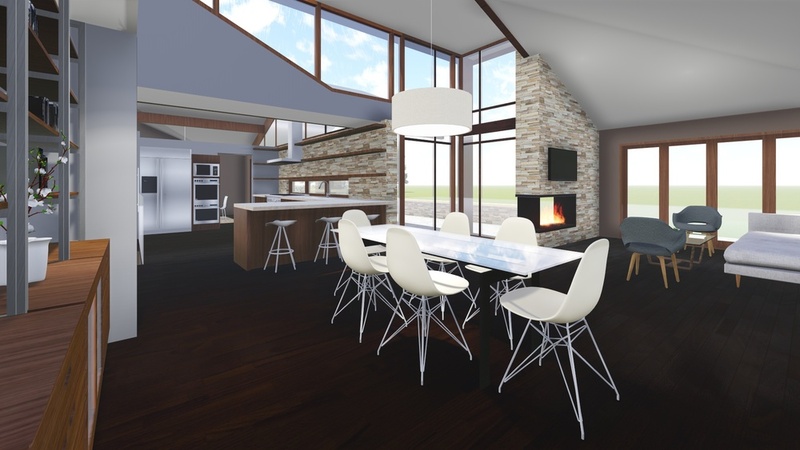 Mid-century modern geometries drove the design, while touches of contemporary forms were also explored. 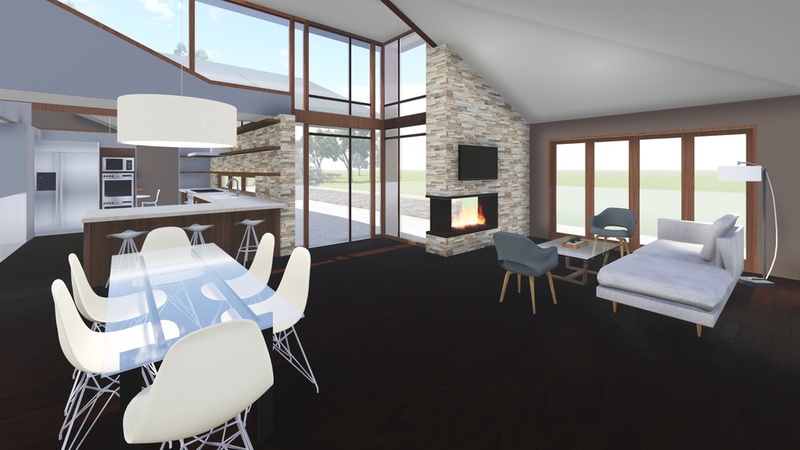 The vertical glass element and chimney serve both structural and visual roles— joining the old to the new. 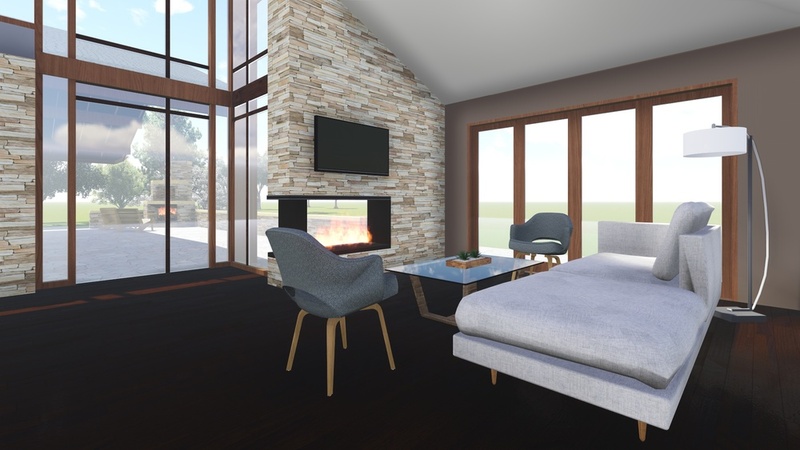 The proposed addition respects the exiting structure and increases the home's connection to the landscape with its horizontality and use of glazing.